You may have heard of it. You may not know what it is. Let me start off by saying that I love the Disney Institute. Over the years it has morphed from one thing to another, but in both iterations it has been unique and fun. 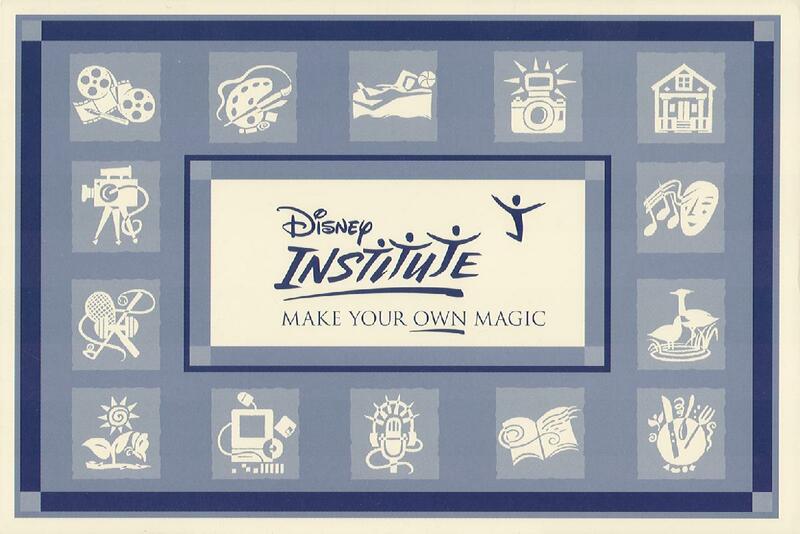 Originally, the Disney Institute was both a resort and a learning center. Guests were able to take classes in different areas taught by professional Disney cast members. You could take classes on cooking, animation, and a host of other areas. Opened in 1996, this phenomenal experience allowed you to learn more about the Disney magic from the people who were most qualified to teach it – the actual chefs, animators, and Imagineers who were doing it live in the parks everyday! I was lucky enough to have taken a day of classes while I was visiting Walt Disney World back in 1998 and a part of me longs for the day that they will bring this concept back. Unfortunately, it wasn’t as popular with most folks who in all fairness didn’t come to learn but to enjoy. Eventually, they closed it down in that form and it changed into something different. But for huge Disney fans like me, it was a chance to go deeper into the magic. I took two classes in my time there – one on cooking and one on animation. The cooking class taught us how to make tabouli, bean dip, and a fish dish that was really tasty. I learned knife skills that I still use to this day. The animation class was a sampler where we got to experience different styles of animation. Back then computer animation was still competing with traditional cel animation and so we got to experience both as well as classic animation efforts from the past. I still remember getting to paint my own Disney Institute animation cel. What a great experience. 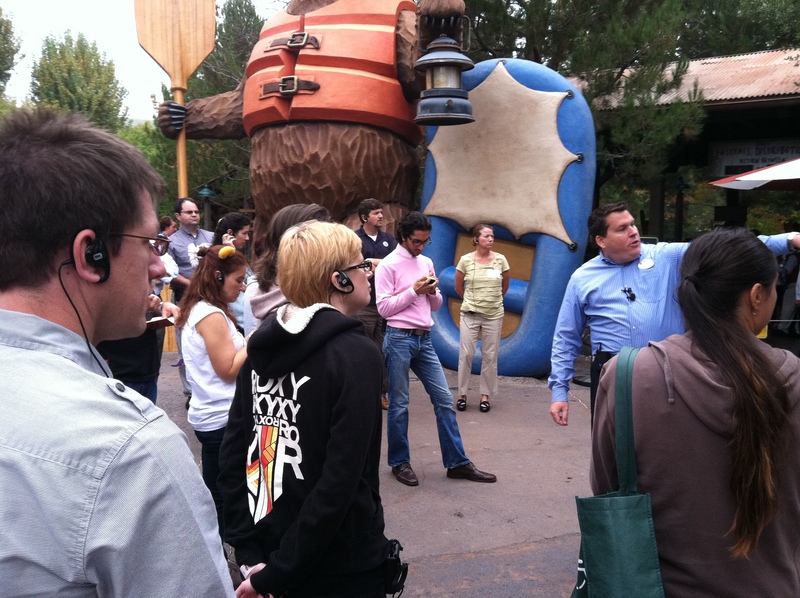 Today, the Disney Institute is an organization that teaches business professionals about the Disney Way. While not as “fun” as the original Disney Institute concept, these learning opportunities are incredibly inspiring and innovative. I’ve been fortunate enough to take two different Disney Institute classes – one was a custom class produced for a conference I attended and one was an onsite class at the Disneyland Resort. 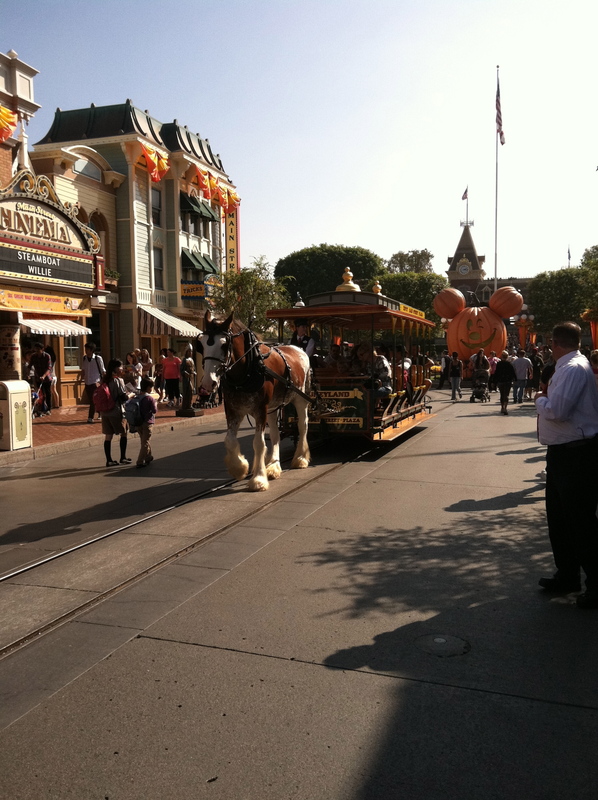 The one I attended at the resort was on Quality Service and it was fascinating to experience as we got to go behind the scenes at both Disneyland and Disney California Adventure. We learned about sound mitigation tubes, Walt’s dedication to detail, the different ways Disney incorporates all ages of the family in the experience, and other great learning bites that were easily translatable into other non-Disney businesses. I loved hearing about how Walt bought the streetcars on Main Street out of his own money because he believed in it that much and how Walt was determined to find covered trash cans and when he couldn’t he paid someone to make them. There were some pretty amazing stories. And we got onto two different rides without having to wait! At the time, the classes were only about $500 each (see how I said “only”?). Today in 2013 they have raised the prices to over $1000 each. The reasoning? To be more in-line with the prices at Walt Disney World. When you’re used to paying half as much it seems like a leap to pay twice the price, but in fairness the quality of the experience and the learning opportunity are in line with the cost. By the way, the price does not include theme park admission or hotel but you do get a discounted hotel rate and both breakfast and lunch are included. There are also some other small goodies you’ll find when attending the class, but you can find that out for yourself. If you work for a company that allows you the freedom to choose which seminars and conferences you attend, pick one of the Disney Institute classes if you get the chance. It’s a wonderful learning experience. We, too, enjoyed the culinary classes and animation classes at the “original” Disney Institute. Wish they were still offering them, as our trip and experience at the Institute is in our top three vacations of 25 years!!!!! Wouldn’t it be great if they found a way to bring those experiences back? They were so much fun.